Philanthropy has gone hand-in-hand with hair care product entrepreneur's rise to the top. He will reveal why success unshared is failure at a special METal event hosted by Nextist broadcaster Ken Rutkowski on July 1. BEVERLY HILLS, CA / ACCESSWIRE / June 29, 2017 / John Paul DeJoria’s name is synonymous with Paul Mitchell Systems, the hair care company he co-founded, and the Patron Spirit Company, which makes world’s leading brand of 8premium tequila. But the entrepreneur, whose net worth is estimated to be well over $3 billion, has twice been homeless and forced to live out of his car. Those experiences spawned a strong desire to help others, making John Paul DeJoria’s name as well-known for philanthropy as business prowess. In a rags to riches story that has been punctuated with good deeds, John Paul DeJoria is a passionate advocate of giving something back. In fact, giving is his style - literally. Paul Mitchell Systems’ hashtag is #givingisourstyle. JP’s personal motto is: “Success unshared is failure.” He believes doing good is key to finding - and keeping - good fortune. John Paul DeJoria will reveal how budding alpha leaders can find Good Fortune by doing good in a keynote speech organized by METal International and hosted by motivational broadcaster and pioneering entrepreneur Ken Rutkowski. The special breakfast meeting will take place in Beverly Hills on Saturday (July 1). The event will run from 9.00am to 12.00pm at The Ahrya Fine Arts Theater. Anyone wishing to attend must be over 21, except in approved circumstances. RSVP by 6pm Friday, June 30. Also speaking at the event will be Josh Tickell, a documentary film producer who specializes in movies with a social message. He won the Sundance Audience Award for Best Documentary for his first film, Fuel, and directed the Cannes Film Festival movie The Big Fix, which exposed the possible connections between corporate and political wrongdoing and the 2010 oil spill in the Gulf of Mexico. He also made the official film biography of John Paul DeJoria. Josh Tickell has been a guest on Jay Leno’s The Tonight Show, Good Morning America and Discovery. Food sponsor for the event will be Emporium Thai Cuisine, the Westwood restaurant founded by John Sungkamee in 2000 and now a staple of Los Angeles’ Thai culture. Entrepreneur Mr Rutkowski, who has mentored some of the world’s leading innovators, is the founder of METal International which hosts weekly talks in Los Angeles. The platform has previously hosted Larry King, Peter Diamantis, General Wesley Clark and Michio Kaku, to name a few. 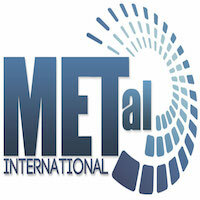 METal International is a world-renowned media, entertainment and technology alliance that is inspiring alpha leaders with pioneering collaborative business support mechanisms.